Busy top-notch NYC drummer makes a rare visit to Leeds with a trio of guitarist Tom Ollendorff and bassist Conor Chaplin. They deliver sharp, streetwise modern jazz that borrows as much from drum ‘n’ bass as much as it does from pristine ECM and dirty Downtown aesthetics. 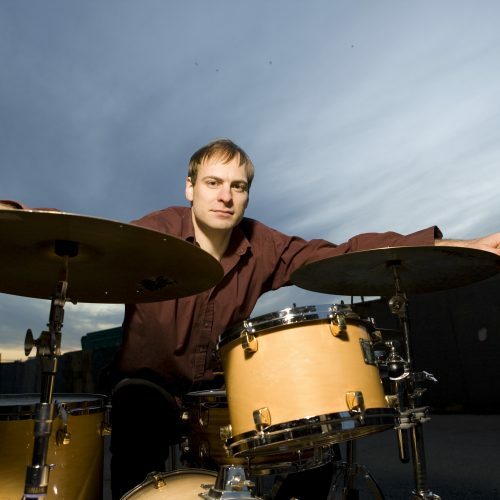 Ari Hoenig is one of the jazz worlds most respected and innovative drummers. A prolific bandleader and sideman, he has appeared on over a hundred recordings and worked with a diverse spectrum of artists including Wayne Krantz, Kurt Rosenwinkel, Joshua Redman and Chris Potter. Ari Hoenig trio : Tom Ollendorff on guitar, Conor Chaplin on Bass. They play originals and repertoire from the Miles Davis Second Quintet. We have seven evening concerts this Spring so why not buy a bargain season ticket -see all of them and support JAZZLEEDS! £85 full price/£75 concessions, 25’s and under half price.